A collaboration with Jim Sims, Örebro OpenART 2015. Audio sample. 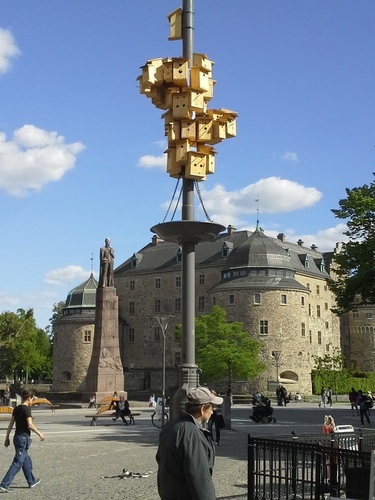 The sound is coming out of a cluster of birdhouses installed in a tree adjacent to the pole in the picture.